The cave, located in southern Greece and discovered in 1958, is called Alepotrypa, which means "foxhole." "The legend is that in a village nearby, a guy was hunting for foxes with his dog, and the dog went into the hole and the man went after the dog and discovered the cave," said researcher Michael Galaty, an archaeologist at Millsaps College in Jackson, Miss. "The story's probably apocryphal — depending on who you ask in the village, they all claim it was their grandfather who found the cave." 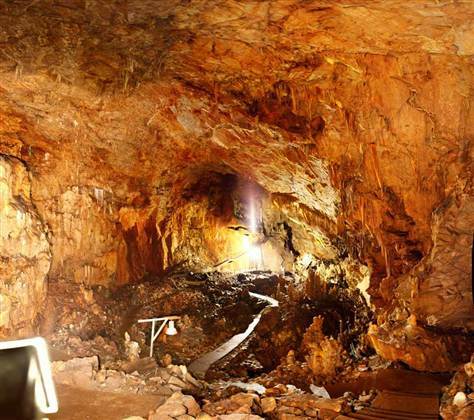 "If you've ever seen 'The Lord of the Rings,' this might make you recall the mines of Moria — the cave is really that impressive," Galaty told LiveScience. "Alepotrypa existed right before the Bronze Age in Mycenaean Greece, so we're kind of seeing the beginnings of things that produced the age of heroes in Greece," Galaty said. "You have to imagine the place torchlit, filled with people lighting bonfires and burying the dead," Galaty said. "It was quite like a prehistoric cathedral, a pilgrimage site that attracted people from all over the region and perhaps from further afield." "Alepotrypa was at a perfect place to intercept sea trade from Africa all the way to the eastern Mediterranean, being right at the southern tip of Greece," Galaty said. 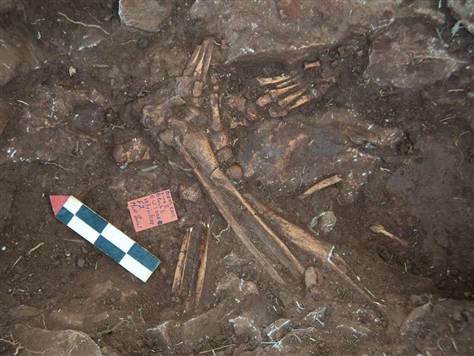 "It is and was an amazing place, the closest thing we have to a Neolithic Pompeii," Galaty said, referring to the ancient Roman town of Pompeii, which was buried when Mount Vesuvius erupted nearly 2,000 years ago. Ash entombed and preserved Pompeii, and excavations there have given archaeologists extraordinarily detailed views of life during that time. In much the same way, the final cave collapse left everything in place in Alepotrypa, with everything inside getting a pearly mineral coating over the years. Much remains unknown about the cave. For instance, "we don't know how much deeper deposits go. For all we know, we might have Neanderthals down there," Galaty said. "The next bay over, you have Neanderthal artifacts in caves, so it's hard to believe there wouldn't be such evidence in Alepotrypa. We just haven't dug deep enough to know." "Giorgos Papathanassopoulos has always argued this pottery was not local to the site, but came from elsewhere — that the cave was a kind of pilgrimage site where important people were buried, leading to the fanciful idea that this was the original entrance to Hades, that it was the source of the Greek fascination with the underworld," Galaty said. 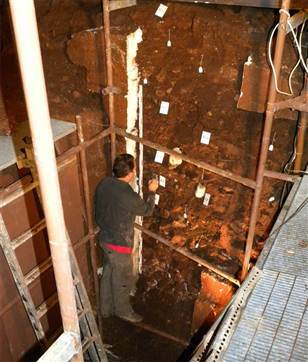 Chemical analysis of the bones can yield similar insights. "Are people actually bringing bodies from distant locales to bury?" Galaty said. Papathanassopoulos, Karkanas and Galaty, along with Anastasia Papathanasiou, William Parkinson, Daniel Pullen and their colleagues, will detail this year's findings at the annual meeting of the Archaeological Institute of America on Jan. 6 in Seattle.